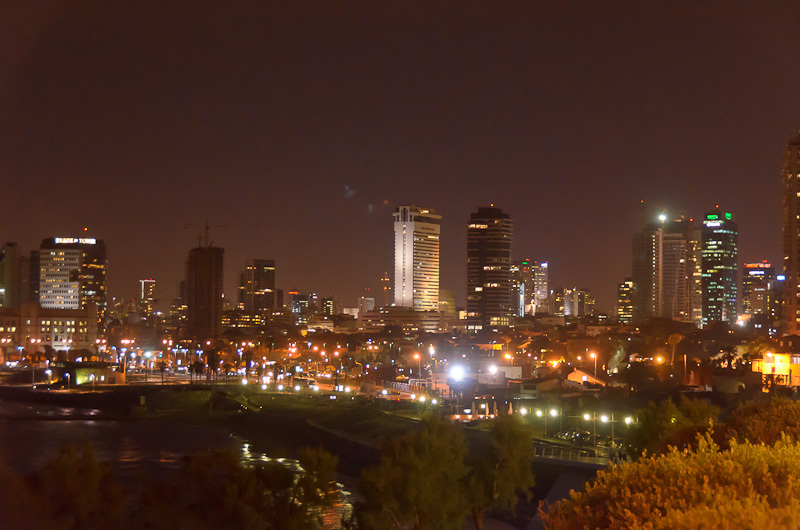 Background for my Old Jaffa Walking Tour: We were in Tel Aviv for a week’s worth of business meetings. 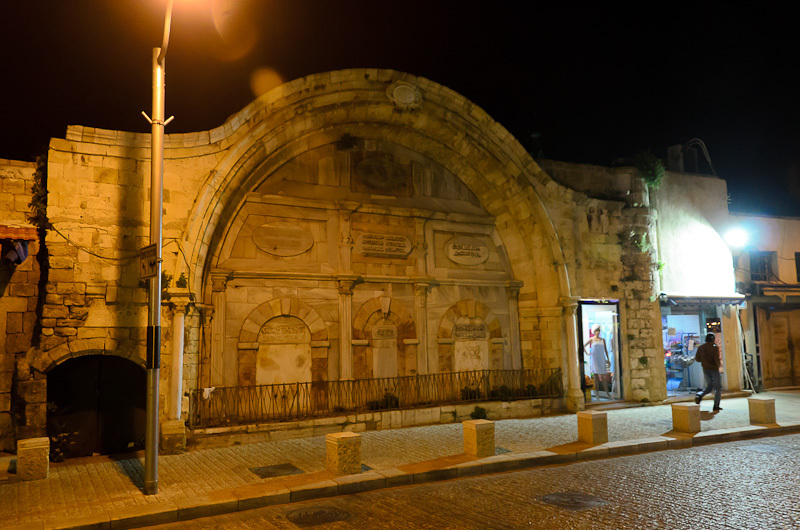 After our last meeting, we took a pre-dinner ride a couple of miles south to start our brief Old Jaffa Walking Tour. 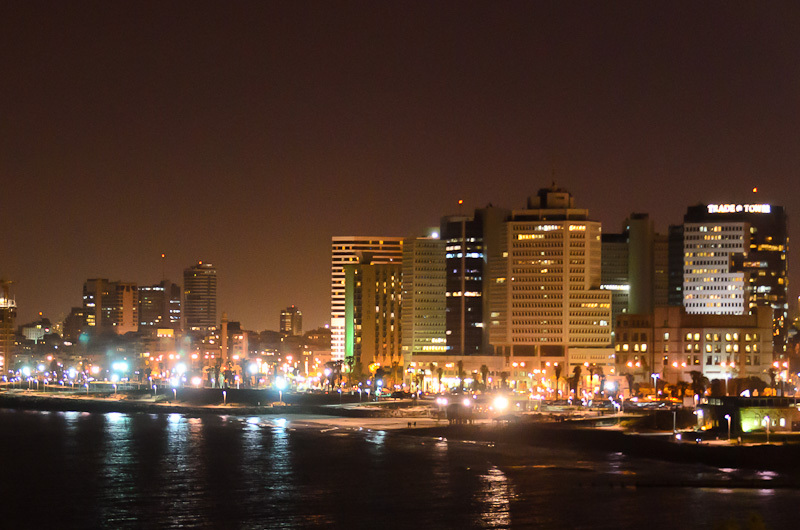 Our hotel is located in Tel Aviv, right on the Mediterranean. 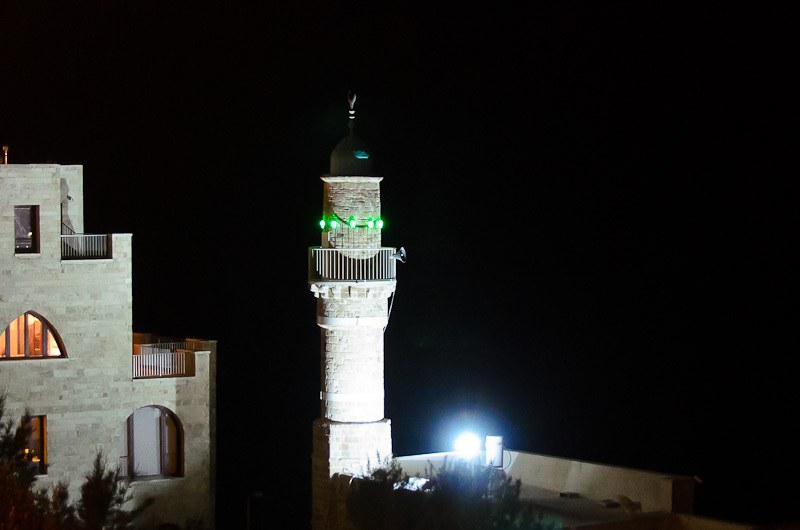 From our hotel we can faintly see the clock tower from St. Peter’s Church and the Minaret of Al-Bahr Mosque / Sea Mosque. 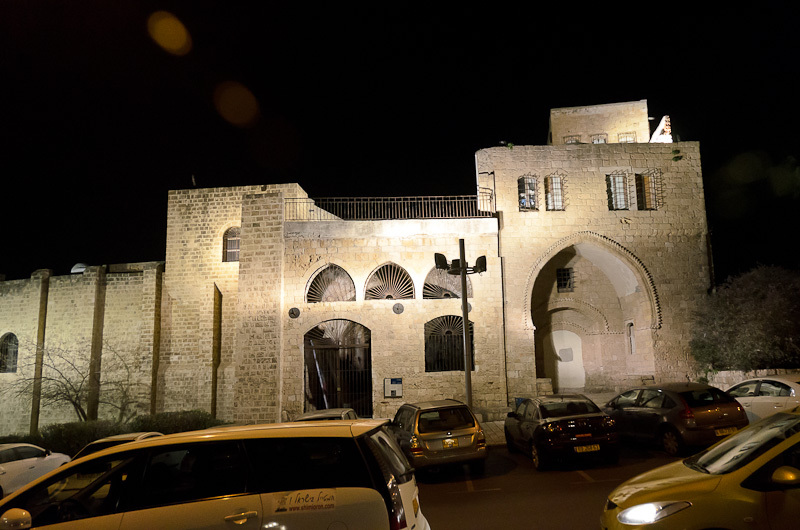 Even though our hotel and Jaffa are both on the Tel Aviv Promenade, a stretch of boulevard full of people out for the evening, we decided to save time and took a taxi to Jaffa. 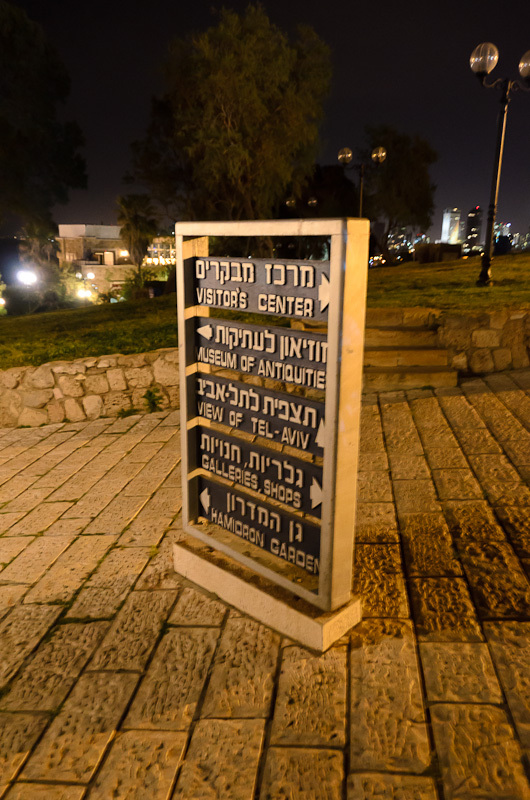 Our taxicab driver took us to the Abrasha Park at the top of the hill named Tel Yafo in Old Jaffa. 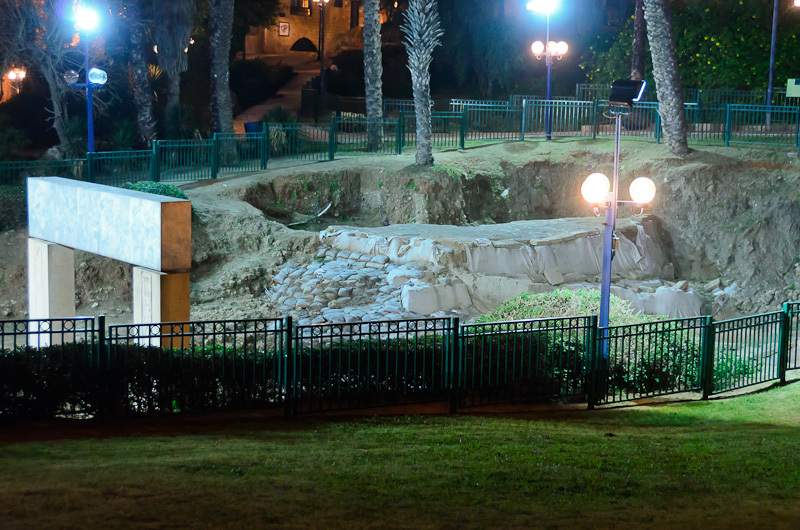 We walked around and saw some interesting sites: a small park area with a sculpture named “The Gates of Faith,” “Tel Yafo Excavation” — an archaeological dig of an egyptian fortress, the “Wishing Bridge,” St Peter’s Church. 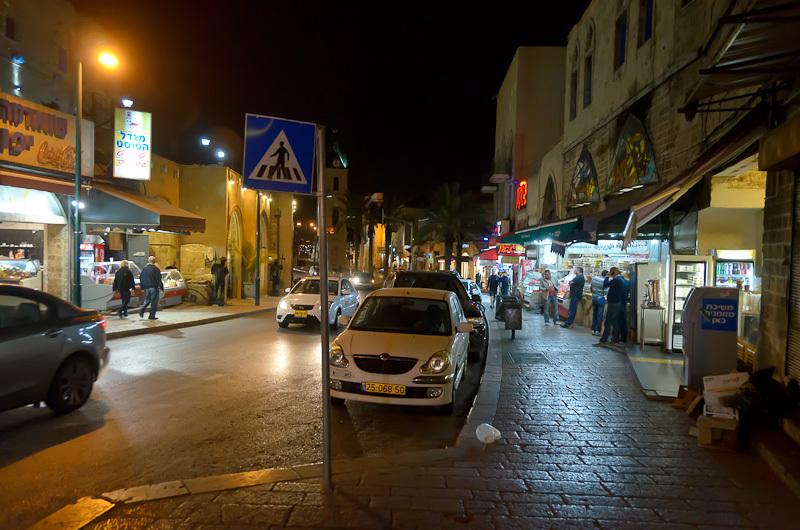 We started walking down the Jaffa Hill, following the Mifrats Shlomo Promenade, the walk way closest to the water. 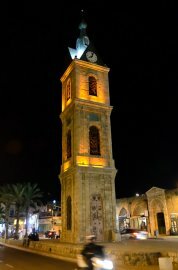 We saw the Minaret of Al-Bahr Mosque / Sea Mosque, a beautiful view of the Tel Aviv night-time cityscape, Arab Hebrew Theatre of Jaffa. When we got to the bottom of the hill we wandered among small food market along Yefet Street near the HaPishpeshim Market area. 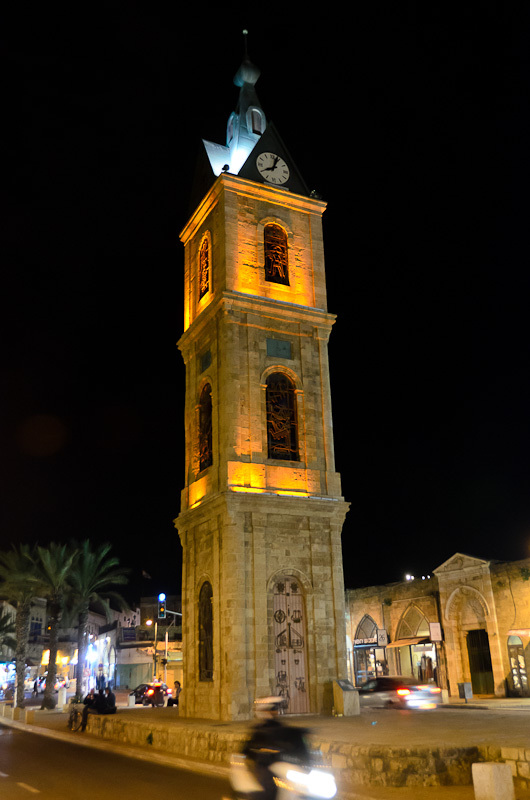 We walked to the North East entrance of Old Jaffa and saw the Jaffa clock tower then took a taxi back to our hotel. 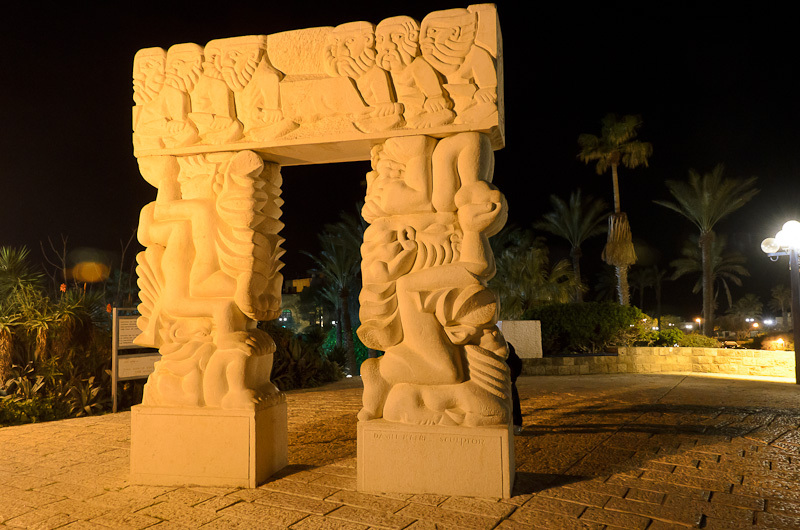 Jaffa is a port city that dates back 1440BC, with archaeological evidence suggesting its origins go back to 7500BC. 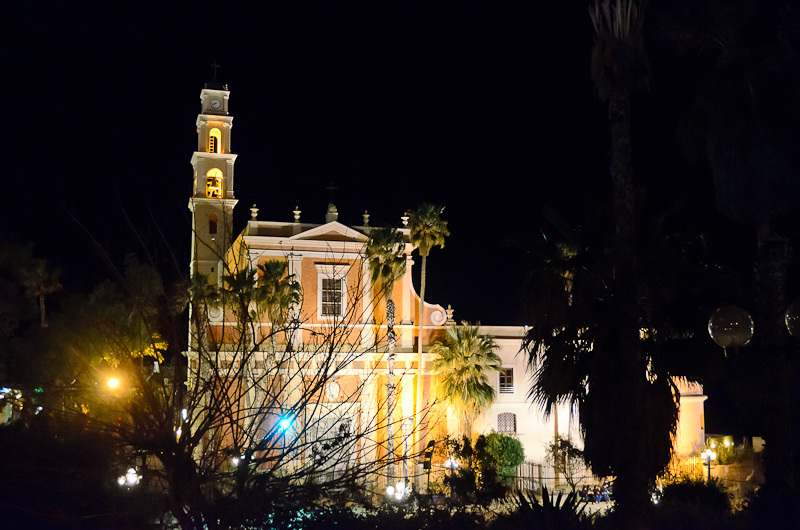 This is a nice small place to visit. We went there early evening; it had just turned dark. In Abrasha Park and on the promenade along the water way, there were lots of people, siteseers like us and families going out to dinner. We felt very safe.